ImBatch is a image processing tool with a long list of available tools for modifying one or more files. Available options include resize, rotate, convert colors, metdata, PDF, blur, shadow, crop and more. The program can also optimize images, add to an existing PDF, create animations (GIF) and upload the results to a remote server. Supports a wide range of formats, command-line operations and batch task settings for easy load/unload of operations. How to extract: Download the installer and launch. When prompted for version, select "portable", and then choose a folder of your choice. Launch ImBatch.exe. 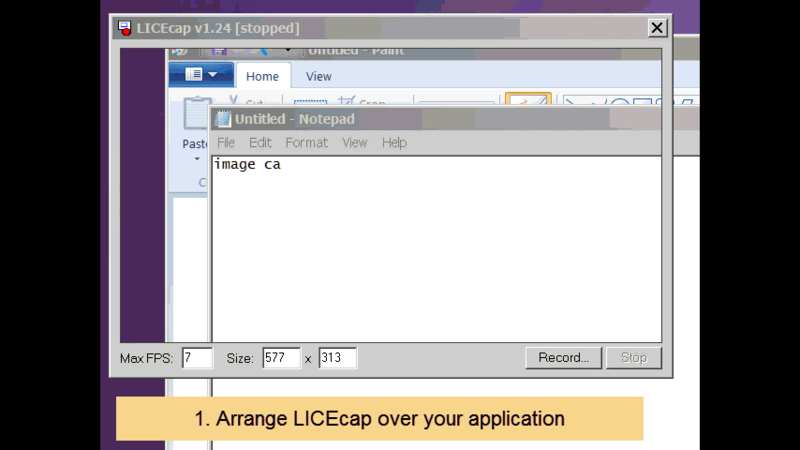 LICEcap can capture an area of your desktop and save it directly to animated GIF files. Features include: move the screen capture frame while recording, pause and restart recording, with optional inserted text messages, global hotkey (Shift+Space) to toggle pausing while recording, adjustable maximum recording framerate, basic title frame, with or without text, record mouse button presses, display elapsed time in the recording. You can run multiple LICEcap window simultaneously, even of another LICEcap. Cross-platform with a version available for Mac OS. LCF: fix crash when error opening output file. GIF: use WDL_FileWrite to write to disk rather than fopen()/_wfopen(), lock files while writing. This is excellent! I'm already creating demos with it. Of the 2017 utilities, I use this one and Calculor the most. Imagine is a lightweight, fast and easy to use image viewer with basic graphics and animation edit features. Other features include viewing internals of archives (ZIP, RAR, 7z etc. ), screen capture, batch conversion, thumbnail browser, slideshow and metadata disclosure. Additional formats support available through plugins. Imagine falling prey to its born-again success, I suspect ? a full changelog is also included as a "whatsnew.txt" in Imagine_1.1.0_Unicode.zip. Can't find what you are looking for? This list shows entries with Graphics - Animation as a supplementary function. You can view more entries with Graphics - Animation as a primary function.